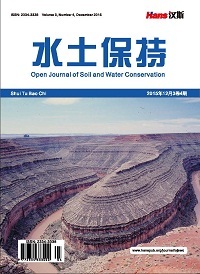 On the basis of resources integration of innovation platform and related theories on operation mechanism and economic and social benefits realized by agricultural science and technology innovation in Shanxi Province, the paper makes quantitative and qualitative analysis of environmental support, financial support, human capital and achievement realization of "Agricultural Valley" innovation platform construction in Shanxi by using analytic hierarchy process. And through the horizontal comparison analysis, we will find the environmental foundation of the current "Agricultural Valley" innovation platform construction. Therefore, this paper can provide a basis for further strengthening the platform construction. Aiken, L.S. and West, S.G. (1991) Multiple Regression: Testing and Interpreting Interactions. Sage, Newbury Park, CA. 桂文静. 产学研协同创新平台研究[D]: [硕士学位论文]. 武汉: 武汉理工大学, 2015. 崔滨. 长春市科技创新平台评价研究[D]: [硕士学位论文]. 长春: 吉林大学, 2007. 王立剑, 刘佳. 高校科技创新平台绩效评价指标体系构建与应用[J]. 科学学与科学技术管理, 2010, 31(2): 110-112. 陈敏克, 何燕, 逯楠. 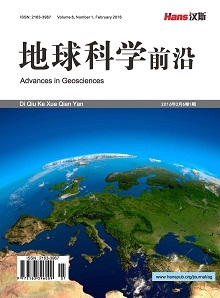 山西省农业科技创新体系建设研究[J]. 山西农业科学, 2016, 44(1): 92-95.